Because Margaret was taking the service today Joan again generously volunteered to write the blog. Call to Worship: Margaret called us as fellow children of God - those who despair about the meaning of life, cling to anger or who are lonely or full of self-pity. And also those who came to this house of prayer which is filled with the Grace of our Lord Jesus Christ, the love of God, and the fellowship of the Holy Spirit, feeling contented and thankful for many blessings. Andrew very carefully chose the hymns for the service and played the organ, while Malcolm played the piano and Lyn introduced our hymns for us today. With quiet music to sooth our thoughts - we each took a few moments for silent personal Confession before being led by Margaret in a further prayer of Confession before hearing the news that our Merciful God is prepared to let His forgiviness flood over us as we were offered Words of Assurance – for which we thanked God. The Bible Readings were read for us by Alan. 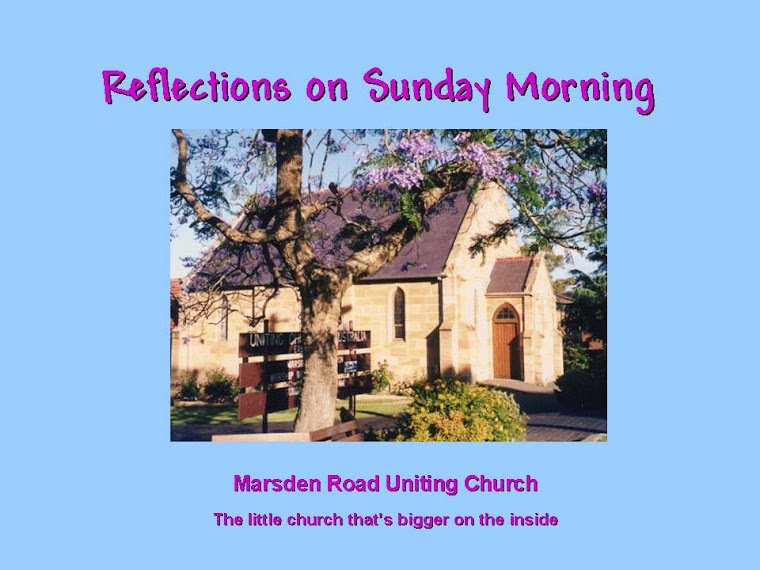 Reflection: Margaret began her reflection by saying she would include thoughts on all three readings, with the main focus on the reading from Luke. She touched on some of the historical thoughts and opinions on the meanings of the story of Lazarus, but urged us to “look for God's message for us” in the three readings and in her Reflection. “I can only tell you the message I hear. What God means you to hear is between Him and you,” she told us and asked us to pause and silently ask for God's help in opening our ears and hearts to His voice. We were reminded the reading from Psalms evokes the greatest sense of confidence and tells us we can depend on God to look after us. The reading from Timothy reminds us to be content with what we need and warms us not to pursue wealth. Margaret hears a twofold message from Luke. There is the sobering story of the self-indulgent rich man whose sins towards Lazarus were sins of ommission as he continued to ignore him until it was too late. The second part of the message is; that neither can we plead ignorance for not “getting on board the programme” - because the message has also been given to us loud and clear. Rather than go on with a littany of things we might do to to avoid “facing the chasm” like the rich man, Margaret acknowledged that most of those in church this morning had probably already heard that message and been acting responsibly for many decades. We were encouraged to recal our own reaction when someone has bothered to call or show hospitality and to then consider, in contrast, how bleak it must be for people who are without much by way of personal resources, family or friends. Margaret then generously shared several personal experiences about her own faith journey and told us of several times she had been able to offer help and comfort to young people through her job as a teacher. However, she acknowledged that in each case she had found the task of supporting the kids an enormous burden and wished in each case that it would all just go away! Those situations would never have been easy but she shared with us in humility this morning, her certain knowledge that if she had asked to be a channel of God's love and had asked for God's strength, it would have been many times less exhausting. Knowing that, she told us that as the Psalm reading tells us; God is there for us...always and he will help us through heavy times. We were reminded that we are in the top 6% in the world when it comes to those assets that make life easy and good for us and we have spiritual support in this building and that all this gives us a richness we can let overflow to others. 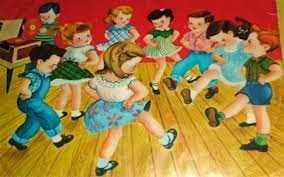 Margaret finished by inviting us all to live our life as if we are always dancing the last verse of the “hokey pokey”. We should put our whole self in. Prayer of Dedication was offered by Chris. Prayers for the People were led by Joan who included the Uniting Church’s statement about the ideals and aspirations of the Church for Social Justice, on this Social Justice Sunday. We are loved by a God who calls us to spread love wherever the poor are neglected, justice wherever the meek are humiliated, hope wherever the merciful are despised, peace wherever the church is divided and Grace wherever the lost seek mercy. As we prepared to leave the church Andrew played the “Hokey Pokey” which sent us out with joy and enthusiasm for “Putting our whole selves in” for a God who gives us “An avalanche of Blessings”. "Risen Christ. Your presence fills the cosmos. Cosmic Christ. 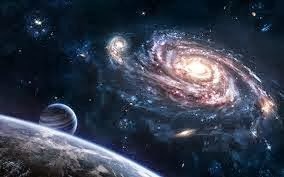 Your presence pulses through all galactic space across light years of time. Make your presence felt among us. Yes, make your presence felt." Hymn TIS 186 "Stars and planets flung in orbit" All creation, from the smallest life to the soaring mountains and through the unimaginably far reaches of space, praise God. Prayer. In a responsive prayer, we thanked God for that awareness we have of our place in time and space. Then we confessed that we selfishly had used our position for our own ends, forgetting that it is God's gift and expressed our sorrow at our greed and the results it brought about. energy; every part of creation, even those parts seen as non-living, swell with the music of God's joy-giving dance. The Scriptures 1 Timothy 2: 1 - 7; Luke 16; 1 - 13. Read by Bob, the Timothy reading gives us Paul's instruction to pray for those in positions of responsibility, that we will lead peaceable lives and also that all will come to a knowledge of the truth because that is what is intended. The Luke reading is one that has been regarded all through history as very confusing and at times, contradictory. However, we should listen for God's voice amongst the confusing story. Reflection Chris introduced the Luke reading by explaining that not only had it puzzled commentators but also seemed to have puzzled the writer at the time of recording. The story concerns a manager who was summoned by the owner of a property to account for rumours about his having squandered the owner's property. Realizing his job was in jeopardy and not having the strength to do manual work and not wanting to beg, he set about ingratiating himself with the owner’s debtors. He contacted them all and reduced their debt. Which is when things become confusing. The owner commended him for this strategy. Then the contradiction. If a person can't be trusted with a little, they most certainly won’t be trusted with a lot and if a person cannot be faithful with dishonest wealth, then they will not be trusted with honest wealth. Hmmm! What to make of that? Perhaps the manager realised that his own welfare depended on how he treated the less well off. Then the landowner could hardly renege on the arrangement. There may have been a recognition that real wealth lies in relationships and that treatment of people with less power should be just and fair. There are no unimportant people and if those that are fooled by thoughts of self importance realised that, it would be a different world. The Timothy reading is focused on the need for prayer - for all. In praying for people we begin to see their significance and we thereby build communication with them. But prayer must translate into action and, as confusing as the Luke reading is, that is where it directs us. We Begin our Response to God's Word. 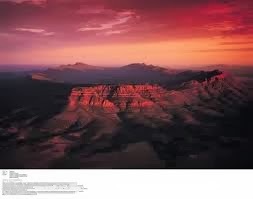 We affirmed our belief in God as creator; in the Earth as a sanctuary; a place filled with God's presence. We affirmed our belief that God became human in Jesus and died on the cross for all. We affirmed our belief that Jesus is at the core of creation, reconciling all things to God and renewing all things, groaning with creation and waiting with us for its rebirth. We affirmed that we, together with Christ will celebrate a new creation. Hymn TIS 146 "God who made the Earth" Singing of our wonder that the God of all creation would have an interest in us to the extent that he would give His son that we can find eternal life. Our Offering was received for God's work after which announcements were given about God's work as it happens locally. Prayers for the People Marcia prayed on our behalf to our loving gracious God, approaching Him in prayerful worship, telling of our heavy hearts at the fear and suffering in the world and acknowledging how much more so it is for Him to see innocents suffer like those in Syria. She asked that those suffering people should feel God's compassion and that success might be achieved in bringing about peace. Thanks was given for our beautiful land and for the loveliness of Spring and that people in Australia can experience a secure life. Marcia prayed for support for teachers, health service workers and law enforcement officers asking that our prayers would be accepted in Jesus' name. She then led us in the Lord's Prayer. Hymn "A Smile" We sang of the effectiveness of a smile. How, although it may not bring about revolutionary change, we change someone's world there and then when we give them our smile. “Christ calls you to be His disciples, to serve Him with love and compassion, to serve Earth by caring for creation. May the Spirit of God, who is the cosmic power above all and through all, fill you with an awareness of Christ's presence, permeating the cosmos and pulsing within you. Chris led us in rejoicing for God having rescued us from the wilderness and having swept away the darkness, bringing joy to us all. Hymn TIS 143 "Immortal, invisible, God only wise" Exuberance generated by our wonder at God's might among everything that exists. We pray, offering God praise and adoration Chris led us in praise for God's creative power; for God's justice; for God's continual searching after us; for the gift of Jesus. - greater and more precious than any other possible. We confessed to the gap between what we confess to believe and the way we behave, acting as though the world is ours, not God's; as though the church is ours to run as we like instead of according to God's will; as though we are supreme, demanding obedience from others instead of submitting to God. In the name of the Lord, who is our portion and our hope, I declare that our sin is forgiven. May our mouths be filled with praise. In the scriptures Jeremiah 4: 11 - 12, 22 - 28; Luke 15: 1 - 10. Jeremiah tells of mourning over the world that was desolate because everyone had turned away. But God says He will not make a final end to it all. In Luke people were complaining because Jesus was associating with the not-so-respectable citizens but he pulled them up short by making it clear that there is great joy in bringing home the lost. As we reflect Chris spoke about the parables of the lost sheep and lost coin which were used by Jesus in the account read from Luke, to turn the thinking of the people upside down. Chris explained that the thinking of the Pharisees and Scribes was that their function was to protect those who appeared to be living "holy" lives - living according to the law - and exclude those who weren't, so they could not contaminate the rest of society. However, in the crowd listening to Jesus, drawn by His welcoming attitude and message were many of these outcasts and, worse still, Jesus socialized with them and even ate with them, breaking all the rules of the Jewish faith. and then of the woman who searched her house until she found one lost coin. 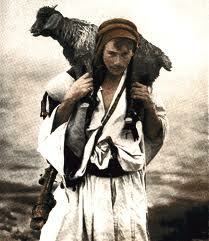 All the shepherd's sheep were precious to him. All the woman's coins were needed. And so it is with us and God. We are all precious to Him and we are all needed in His natural word and in His spiritual kingdom. We are loved by our creator. But Chris alerted us to another message. The one the Pharisees and Scribes, particularly, needed to hear. As committed Christians we are sure of our place in the kingdom and rightly so, but we need to be careful about our attitude to people we might perceive as being outside the kingdom. God's love knows no bounds. Our task is clear. "How can we open up an experience of God's nonjudgmental love to those around us"
On a personal note, I spent some years away from fellowship with God and it was the willingness of someone who really had no responsibility for me, to take time to listen to me and talk with me, that ensured I made the journey back. I was pursuing God - I thought. The truth of the matter was that He was hanging on to me and I was responding to the annoyance (at the time) of that constant prickling that wouldn't let me be comfortable. Hymn TIS 129 "Amazing Grace" "I once was lost, but now am found". Peace, security, fulfillment, quiet. Our offerings were then received. God blesses us mightily. It is only proper that we should return some of this for His service. We Pray Chris led us and we responded, "hear our prayer". Chris led us in praying for the ability to search for the lost; for being willing to go into areas where we may not be comfortable. Chris prayed for those who have not heard the good news, that our lives will speak of it to them. He prayed for those who feel abandoned and the troubled, that they will find peace. He prayed for those that mourn or whose families are broken that they will find the comfort of God's presence. Then we prayed as we have been taught, the Lord's Prayer. Hymn TIS 456 "We head out to seek the missing" A comment on the parables Chris spoke of, "And when you find the drifter, The one alone and cold, You take it to your shoulder; Return it to the fold." saving, feeding and being fed. May the Creator's holiness burn away our complacency. giving hope to a perishing world. Lyn welcomed Rev. Chris to MRUC. Chris will be ministering to us in the next months and we look forward our time together. We were Called to Worship. Chris used the words of Ps 130: 1 - 6 to remind us of how thoroughly God knows and understands us: how he knows how our minds are ticking over and how our past informs our present. It surpasses everything, and is beyond my grasp." we thank you, O Lord, our God. Amen. For some reason I thought for a time that God had called me because of my better characteristics. He called me as I am and as I have been, even if that is not all pretty. 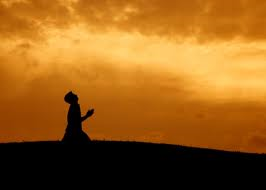 Hymn TIS 90 "I'll praise My Maker While I've Breath" A vow to praise God for all His goodness in this life and beyond. Praise for God's truth and the security we have in Him: praise for His care for those whose personal and material resources are meagre: praise for His care for the physically afflicted, the guilty, the stranger and the widow: for everything He bestows upon us - praise. Nothing we have or achieve is down to our amazing talent. God is the author of everything good. A prayer to the "Ever present God of grace" He who has known every moment of our development. To our "Lord God" whose thoughts about us are impossible to begin to understand. To You, we pray that we will hear Your voice, that we will change and become what we should be. "Open our ears to hear you, open our eyes to see what we might become, open our hearts to follow in the way you have shown to the world in Jesus Christ our Lord. Amen." Hymn SIS 482 "Change my heart O God" Eddie Espinosa, 1982 Mercy Records and Publishing, Anaheim, CA, USA. 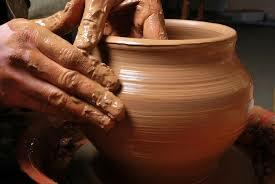 A plea to be changed by God and moulded by Him as a potter moulds the clay to his will. Let us live as those reborn. We Listen for the Word of God. Scripture Reading Norma brought us Jeremiah 18: 1 - 11 and Luke 14: 25 - 33. The message in Jeremiah is about the potter's ability to destroy a flawed piece or rework the clay into something good. God promises that He can reshape us but only if we turn to Him and away from the influences for evil in our lives. In Luke it is made clear that turning to God will have its cost, so we must calculate that into our decision to hand ourselves over to God's will, which must come first. God but that on closer viewing, we will realise that the potter works in concert with the clay, bringing out its beauty by feeling the characteristics of the clay and creatively re shaping it. The work of the Divine will with the human will is a dynamic relationship; it is God working with people, bringing out the best in them. With reference to the Luke reading, it is then our responsibility to examine our priorities and rid ourselves of anything preventing that moulding process of God having its most beautiful outcome. We should also be going through this process of prioritising in our church community. How open are we to God's call? How open are we to releasing those things from our individual and community lives that are hindering God's work! Are we "Letting go of being possessed by our possessions." Hymn TIS 468 "We are your people" An acknowledgement that we are God's people to be used by Him as voices to those around us. That within our community we should be willing to lead sometimes and be led at other times: that we should hold each other close and at the same time, welcome strangers: to be aware that we will disagree but be prepared to forgive: to value tradition but be prepared to change: asking for wisdom and praising God for His love. A humble prayer calling on God's grace to transform us in each situation as we admit our inadequacies and our fears, showing us the good we can do. Chris led us in prayer for MRUC as we journey down a new path, and for those whose value we can't appreciate yet. Chris prayed, on our behalf, for our helplessness in a world of conflict and injustice and the we prayed in the words Jesus taught us. Offering With Jesus we love generously as we bring our offerings. Hymn TIS 163 "God who stretched the spangled heavens" To the God of all creation, we look upon all our achievements with pride and see our dreams as possibilities to serve God..."till our goals and yours are one." The Billabong website: copyright Jeff Shrowder 2000, 2013. Helen welcomed us to Fathers' Day and the notices were given, including one that we were gathering in the hall after the service to say the last part of our farewell to Helen and Graham. Helen: "When we arrived this morning, this Fathers' Day, we entered into the normal bustle of a Sunday morning. Friends greeted each other, children brought their enthusiasm. Now that we are sitting together in the pews I invite you to close your eyes...and consider the word sanctuary. A sanctuary is a place set aside for sacred things. It is a place of protection. This space, this church, is a sanctuary. You too are a sanctuary. There is inside you a place for sacred things. A place where God abides." Since The Lord is directing our steps, why try to understand everything that happens along the way? Hymn TIS 569 "Guide me, O my great Redeemer" A prayer for God's guidance and strength as we follow the path before us. A plea that God will swamp us with the life of His Spirit till our life's end and into the next. Scripture Reading Genesis 12: 1 - 4, delivered by Max, is the record of God commanding Abram to take all his family to a land that will be shown to him and of God promising to make of him a great nation and make him a great blessing. No details. Now that is a journey that would require extraordinary faith. And Abram had such faith. Do we? Play. A Leap of Faith Helen, finishing her ministry as she has always conducted it, did the unpredictable and appeared from the back of the church in swimming gear and a huge inflatable tyre. Graham played the part of her swimming instructor, encouraging her to shed her inflatable tyre, which protected her from sinking and leap into the "water" where he was holding a kickboard for her. Helen took some convincing and many tries to have the confidence, firstly to shed the floating aid, and then to leap. But finally she did, and "swam" strongly up the aisle. The point: we need to make that leap of faith. Hymn TIS 691 "Faith will not grow from words alone" ...."our faith must feel its way about". My own experience is that as we step out in faith into our lives, we find a little truth here and a speck of insight there, all contributing to a much bigger sense of God working in our lives. Reflection "A God who Leads" Helen began by telling of her family holidays as a child in a small caravan at Palm Beach. The pool there was an ocean pool and it was there Helen had her swimming lessons. The instructor was clear in what was required but Helen said she was paralyzed by the "what ifs". What if the instructor didn't catch her? What if a big wave carried her out to sea? Helen confessed to being a control freak and having to work on that aspect of her character. She told of how God had challenged her on that issue. Helen told of a time when, as the result of a bible study, both she and Graham realised that God wanted them to leave their newly built home and travel, like Abram, to a place that He would show them. As a result, they moved to Bellingen, even though that move did not seem wise from several points of view. Then, once again, God spoke and they returned to Sydney for Helen to study for the ministry. And now, Helen sees God has said it is time to leave the ministry for whatever lies ahead. Abraham was not promised that everything would be clear sailing, but he was promised that God would be with him. So Abram went even though he had no concrete proof that anything he was doing was right. 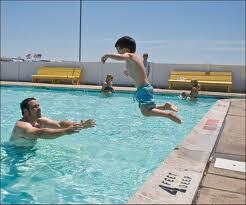 But Abram did have faith and Helen said that she is at a point where she is stepping out in faith. Helen then made the point that, we as a congregation, are at a point where we have to step out in faith too. God is with us, and we must trust Him. The first step is the hardest but if we step out, God will bless us. "Go from your country and your kindred...to the land that I will show you." Introduction to Communion An invitation to share in The Lord's supper, whatever our spiritual state: to come as a worshipping group and as individuals, in faith, no matter how faltering our steps. Hymn 2 “Songs for a Hopeful Church”, words Elizabeth J. Smith. "All the hungry and the thirsty" Whatever our need..."Here's a door that's always open, here a table spread for all...here your heart can heed God's call." It's for all, the joyful, the struggling, the gifted, those in pain, those in grief. When we join together our "burdens lighten, joys increase". Praise the Holy One. Prayer of Confession Let us in silence remember our own faults and failings. Then, Helen confessed, "In the community of Christ's Church and in the presence of all God's people, I confess to God that I have sinned..."
"May God forgive you, Christ befriend you, and the Spirit renew and change your life." Then the congregation confessed in the same prayer, together, and Helen responded as we had for her. "Create in me a clean heart, O God, and renew a right spirit within me." Hymn 546 vv. 1,3,4 sung by Men's group. v. 5 sing together. A plea to the Lord to think on each one of us to cleanse us; to think on each one of us in all those dark places of our lives, so that, "I may share your joy at last." "This is my body. It is broken for you. Do this to remember me." "This cup is God's new covenant, sealed with my blood. Drink from it, all of you, to remember me." "So now, following Jesus' example and command, we take this bread and wine, the ordinary things of the world which Christ makes special." Prayer Helen prayed, acknowledging for us all, that God has taken us from our nothingness and welcomed us back: that God offered Himself for us. "...Send down your Holy Spirit on us and on these gifts of bread and wine, that they may become for us your body, healing, forgiving and making us whole." "...This is my body, it is broken for you." "...This is the new relationship with God, made possible because of my death. Take this- all of you - to remember me." The Distribution followed. Prayer after Communion "Lord Jesus Christ, take us, renew us and remake us. What we have been is past, what we shall be, through You, still awaits us. Lead us on. Take us with you. Hymn 599 "Take my life and let it be" The logical conclusion to our worshipping God in this service of renewal. A reconsecration of ourselves to God and His service. Offering Prayer A consecration of ourselves and our possessions to "bring glory to your name"
Prayers for the People Noeline led us in praying for those people in parts of the world suffering conflict; the boat people and people without enough to eat. She prayed for those elected next week and for the church in Australia, particularly the Joint Nominating Committee of our church and the Advisory Committee on Ministerial Placements that they will seek God's guidance. Her other prayer was for Helen and Graham, giving thanks for their ministry and asking that they will be richly blessed in this new phase of their lives. Graham joined Helen and Helen said to the congregation, "Graham and I, in our current roles, bid you farewell. May the blessing of God Almighty, the Father, Son, and Holy Spirit, be with you now and forever. Amen"